UPDATE: As of March 3, FORG1VEN has reportedly been granted a temporary deferment of his military service. Details are still coming, but it seems that he will be able to play for H2K in the coming weeks. Konstantinos “FORG1VEN” Tzortziou-Napoleon has been many things in the eyes of the League of Legends fans and analysts. A passionate, trash talking player with the talent to back it up. A pro wrestling-esque heel. Many teams’ saving grace. A notorious example of unrealized potential. A god of the AD carry role. One title he’s never been able to claim, however, is World Championship participant. Despite his stellar personal play just about every time he steps onto the Rift, no LCS team he has competed on has ever made it to League of Legends’ biggest stage. He’s simply never been given the chance. And now, due to the Greek government calling him in for his compulsory nine months of military service, 2016 won’t be FORG1VEN’s year, either. During an emotional interview following H2K’s first Week 7 match, he shockingly announced that he likely would not be able to play again until the 2017 season. 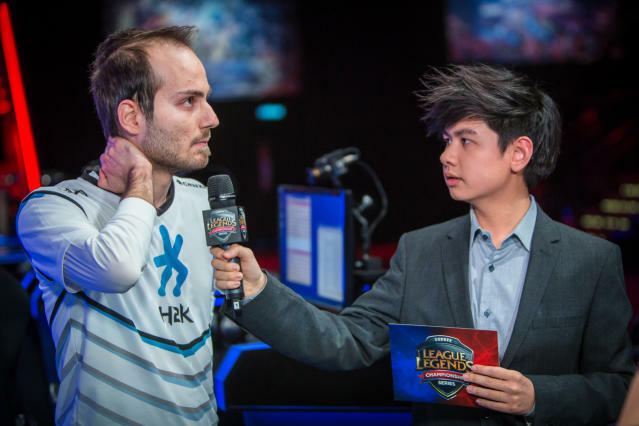 This week, he’s a member of the first-place EU LCS squad H2K. Next week, he’ll be returning to his home country. Despite his divisive personality, FORG1VEN’s fate prompted an outpouring of sympathy from the League community. Many players in the upper echelon of League’s professional leagues are overhyped as they enter their rookie seasons. Somehow, FORG1VEN snuck in under the radar. Before the 2014 season, he largely played for amateur teams in smaller tournaments, always putting up solid performances but never really gaining recognition in the scene. Once 2014 rolled around, he found himself in the LCS playing for Copenhagen Wolves. Again, he played well — some may say he was one of the best players in EU at the time — but due to his team’s lack of success, few really understood his talent. His behavior, unfortunately, outshined his League skill; Riot Games even punished him with a $1,000 fine for unsportsmanlike conduct. He was eventually replaced on the starting roster by Woolite, leaving him as a substitute for the remainder of the season. He has himself admitted that his behavior at the time was inexcusable and deserving Riot’s wrath. At the source of it, however, was his frustration with his team’s inability to find success. It was the first hint of a player unwilling to accept anything but winning. He was passionate, but unrefined. 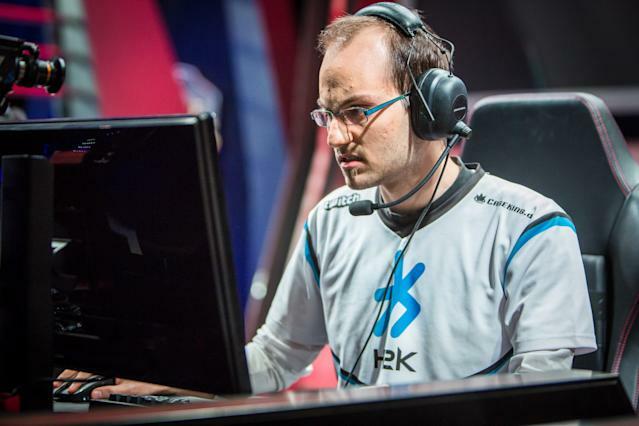 So when he joined SK Gaming for the 2015 season, it wasn’t clear exactly how good FORG1VEN was. His emotional outbursts had cost him in the past, but now it was time for him to show what he could do. He had a strong roster around him, with top laner fred122 fresh off of his permabanned run at Worlds 2014, Svenskeren in his aggressive jungling prime, mid laner Fox on the rise, and the perpetually solid nRated as his bot lane partner. At first glance, the roster had potential, but no one expected them to take over EU. 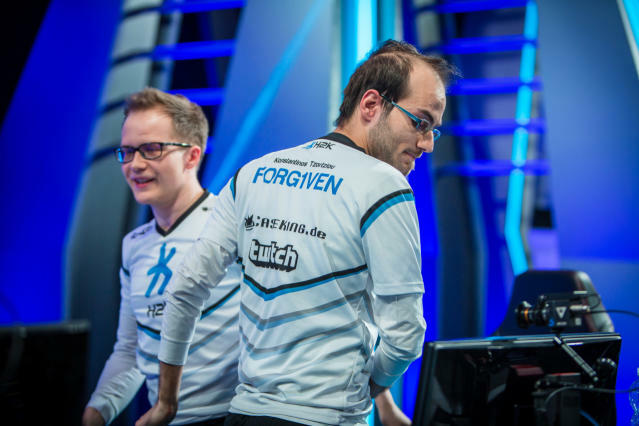 It took FORG1VEN five games to give up a single death in the 2015 spring split. It took nine games for him to experience his first loss on the squad. They only lost twice more that split. He ended the split only having played five champions, but held a 13+ KDA on three of them (Graves, Lucian, and Tristana). It was near undisputed that he deserved the regular season MVP award. Rather than accepting the typically passive early playstyle of many AD carry players, FORG1VEN aimed to dominate his opponents early. Valuing lane bullies like Graves, Lucian, and Caitlyn, he relentlessly shoved in his opponents, denying them CS and daring opposing junglers to try and gank him. When they did, he and nRated would often turn it around, nabbing themselves massive advantages in the early game. Once they had established their lead, SK would snowball it into victories. For a lesser player, these aggressive plays would never work. They’d get caught, killed, and criticized for their over aggression. FORG1VEN? Not so much. By embracing the “Who needs wards? We’ll just kill them” play style, he became one of the most exciting players in the world to watch. FORG1VEN’s impact could be felt throughout the League community. Suddenly, people were talking about SK Gaming as a legitimate contender on the world stage. Teams began target banning him, an incredibly rare occurrence for an AD carry player. He was respected and feared. It certainly didn’t hurt that FORG1VEN exuded confidence, spawning his very own meme when he declared that his team had “by far” the best bottom lane duo in the EU LCS. And at the time, it was true. Following SK Gaming’s loss in the EU LCS spring split playoffs, he left the team, allegedly due to personality conflicts. From there, he went to Gambit Gaming, a squad that failed to find success in 2015 Spring. 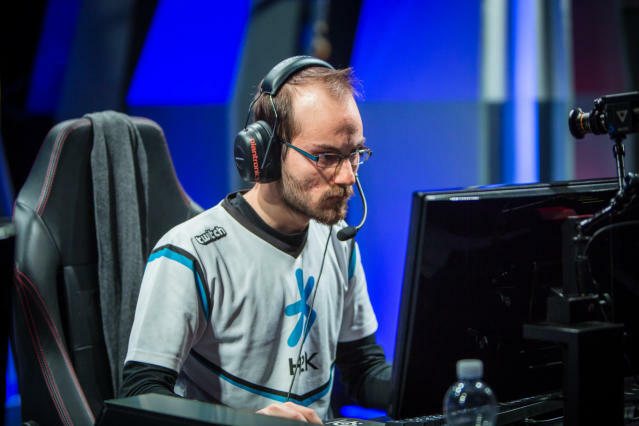 FORG1VEN’s behavior again became an issue, earning him a four-game suspension that would keep him out of the final week of the season. It would prove to be the last time he played for the legendary Russian organization. From there it was off to H2K. Many analysts were cautiously optimistic about the side’s roster, but few were expecting them to legitimately contend. Currently sitting 18-3, they’re tied with Vitality and G2 for first place. But now, they’ll have to make do without their star AD carry. As FORG1VEN said in his interview, this will be the second time that he’s been taken away from the game that he loves. Once again, he won’t be able to pursue his dream of proving himself to be the best in the world. As one of the few elite AD carries from Europe, he showed that an aggressive, dynamic AD carry could rise through the ranks. He demanded opponents reckon with him and earned their respect through his impressive play. Even if FORG1VEN never returns to the game after his year away, he’ll be remembered as one of the all-time greats. He’ll be known as the greatest Western player to never have played at Worlds. And if indeed he returns, he’ll being looking to change that. Taylor Cocke loves nothing more than a lovable heel. You can follow him on Twitter @taylorcocke, where he’ll chat with you about his favorite villains.